The introduction to this series in Uncanny X Men, left me feeling polarized if the solo series would be worth the money. After reading this first issue, it seems that introduction was a false start and the creative team, Bunn, Bellaire, and Walta have ironed the kinks out. In fact, the story in UXM isn’t referenced other than the location. The issue starts with a wide eyed gap jawed witness describing a confrontation with Magneto. After working a job for so long, the witness explains it becomes more like being on auto-pilot. You forget to think about actually doing each step. He compares this to watching Magneto. It’s like Magneto is on autopilot when he’s killing somebody. This analysis nailed on the gritty art style and the impaled silhouette shows this is indeed a fresh take on Magneto. This is no longer the Terrorist Magneto or the Romantic Erik. Instead, this is an amoralistic and burnt-out Magneto hunting anyone who has killed or tortured mutantkind. However, his trail of death attracts a new confrontation with sentinels. The art style is kinetic and sharp. The hyper-focus attention to detail becomes most powerful at the police station. The action combined with heavy internal monologues of a self loathing crusader is gearing up to be at very least an entertaining read. Many comic book writers often re-energize their favorite characters with a gritty anti-hero spin. For Magneto, many have actually done the opposite. For several years now, the fallen mutant leader has silently stood in Cyclops’ shadow. 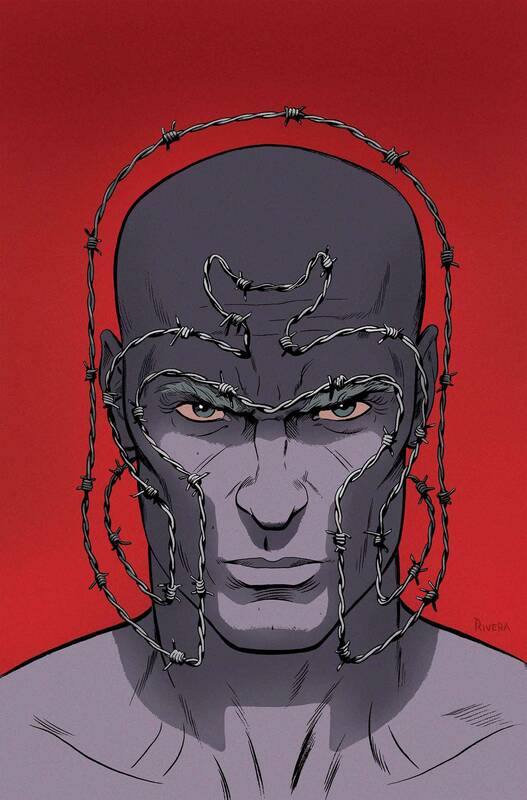 It’s time to strip Magneto back down to his roots. He is, after all, Marvel’s top Anti-Hero and Villain, and with this explosive series and upcoming movie is perhaps what this titan needs to be pulled back into the spotlight.